Today’s consumers are accustomed to speed, agility and responsiveness when and where they need it from retailers. The same goes for banking. That means banking institutions must provide a variety of banking channels in order to make banking accessible, convenient, and personal. BMO Harris Bank recently opened its fourth Smart Branch in Chicagoland giving customers a smarter way to do their banking. The new Smart Branch is located in the Lincoln Park neighborhood at 558 West Webster Avenue, a lively area that is developing quickly and attracting several new businesses and young families. 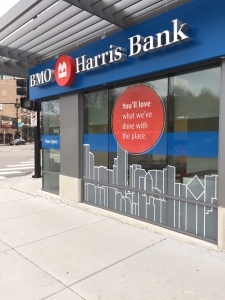 BMO Harris Bank opened their first Smart Branch last spring in Rogers Park introducing to their customers a more efficient banking layout with smart technology that still provides full accessibility to bankers. 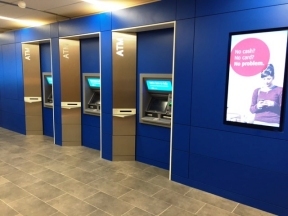 Pilsen and Naperville Smart Branches were debuted earlier this year – each featuring different technological services to the customer. The Smart Branch features a personalized and self-service experience in a digital world. Customers can move seamlessly from digital transactions to in-person servicing to face-to-face consultations with experts over video.